The blue ray correlates to our throat chakra. The throat chakra is the power center. Through the sacred science of sound we can create through the speaking of the word. Invoking the names of Michael and Faith brings to us their love and protection, a renewal of faith, the power to do the will of God and a love for that will. 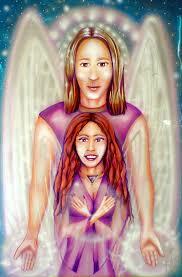 Archangel Jophiel and Archeia Christine serve on the second ray of the wisdom of God. This ray vibrates as the color golden-yellow. Jophiel and Christine’s etheric retreat is located south of the Great Wall near Lanchow in North Central China. The yellow ray resonates with our crown chakra. Halos, depicted by artists around the heads of saintly figures, are the glowing crown chakras of these holy ones. If we desire greater understanding and spiritual wisdom, we can pray to Jophiel and Christine to give us access to the Christ/Buddha mind. Archangel Chamuel and Archeia Charity serve on the third ray, the ray of the heart. This ray vibrates from deep ruby red to a delicate pink. 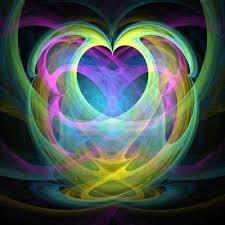 And the quality that is emanated is love unconditional, miraculous, healing love of the Creator for the creation. Chamuel and Charity’s retreat is located over St. Louis, Missouri. A prayer to Chamuel and Charity assists in the softening and opening of our heart, the expanding of our ability to love all of God’s creation, including ourselves—for their ray correlates with the heart chakra. 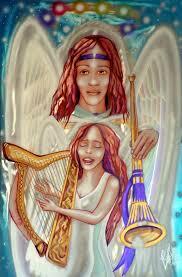 Carrying the flame of the fourth ray of purity, are Archangel Gabriel and Archeia Hope. The vibration of purity is a mother-of-pearl white in color. White is a harmonious balance of all of the other rays. Without purity of thought, feeling, word and action, acceleration on the spiritual path can take many limiting turns and twists. The fourth ray resonates with the base of the spine chakra. Gabriel and Hope’s retreat is located between Sacramento and Mount Shasta in Northern California. So if your desire is to work toward wholeness of being, a call to these angelic twin flames will be of great assistance to you. 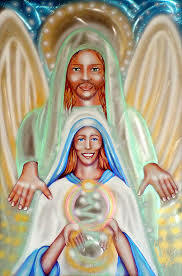 Archangel Raphael and Archeia Mary serve on the fifth ray, the ray of healing, abundance, vision and truth. The vibration of this ray appears as the color emerald-green. So Mary, the Mother of Jesus, is from the angelic realm. She is a being of great power and authority and the perfect choice for the role of the Mother of a World Saviour. She and her twin flame, Raphael, have their retreat over Fatima, Portugal. Our highest calling is service. 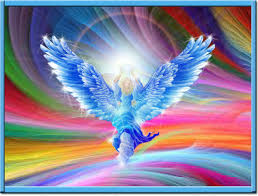 Archangel Uriel and Archeia Aurora are on the sixth ray which radiates the quality of service to mankind and vibrates as the color purple and gold with touches of ruby. Their retreat is located in the Tatra Mountains, south of Cracow, Poland. Calling for the assistance of Uriel and Aurora will enable us to serve others more effectively through professions such as teaching and nursing or ministering to others as spiritual leaders or in counseling or social work. It may be that we simply want to live our lives more selflessly. 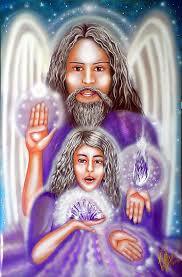 Archangel Zadkiel and Archeia Amethyst serve on the seventh ray. 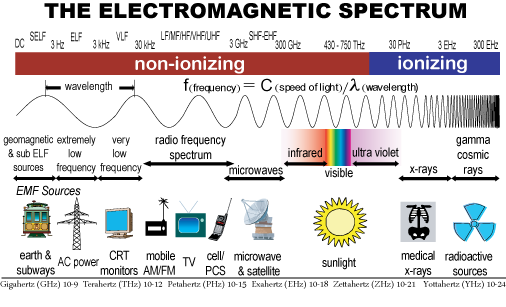 The seventh ray vibrates as the color violet. Its qualities are forgiveness, freedom and mercy. The violet ray is also called the ray of transmutation—the transforming of our human reactions to situations into forgiveness and understanding, the removal of our blind spots, allowing us a greater view from which to proceed and make choices. Transmutation is a spiritual recycling of negative and limiting energies into pure light-energy through invocations asking the violet ray, an aspect of the Holy Spirit, to reside in our hearts and all of our chakras. The ability to forgive is primary in achieving freedom from suffering and living in joy and fulfillment. Invoking the violet ray,6 in conjunction with meditation and self-observation, frees us to extend continuing mercy toward all of life. When we know forgiveness of ourselves and others we live in the spirit of pure joy. If we hunger for freedom from all forms of oppressing thoughts and actions and long to sustain a bubbling joy that continues no matter what may be happening around us, calling to Zadkiel and Amethyst and their liberating seventh ray is the answer. Their retreat is above the island of Cuba. The names of the archangels and archeiai of the five secret rays were revealed on November 28, 2007 through David C. Lewis, messenger for the Universal Great White Brotherhood through The Hearts Center. These rays are powerful and become available to students whose purity, internal balance and love for God have been tested over time. Healers like Jesus had access to these rays, which complemented and intensified the work of the seven rays to bring about miraculous regeneration in the lives of those who came to him for assistance. Now, you, too, can activate these rays by invoking the names of these mighty archangels to bring greater power and concentration to the work of the archangels of the seven rays in your life. In Prayers and Songs, under “Media Center” on our homepage, find decree 0.002, “I Am Cosmos’ Secret Rays,” both in audio and print version. Offering this prayer is another way to activate the secret rays in your life.